Real Madrid is the most successful sports team on the planet. The soccer club has more trophies than any other sports team, including eleven UEFA Champions League trophies. However, the story behind the triumph goes beyond the players and coaches. Generally unnoticed, a management team consisting mostly of outsiders took the team from near bankruptcy to the most valuable sports organization in the world. 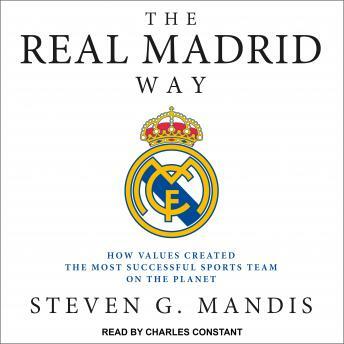 How did Real Madrid achieve such extraordinary success? Columbia Business School adjunct professor Steven G. Mandis investigates. Given unprecedented behind-the-scenes access, Mandis is the first researcher to rigorously analyze both the on-the-field and business aspects of a sports team. What he learns is completely unexpected and challenges the conventional wisdom that moneyball-fueled data analytics are the primary instruments of success. Instead, Real Madrid's winning formula both on and off the field, from player selection to financial management, is based on aligning strategy with the culture and values of its fan base. Chasing the most talented (and most expensive) players can be a recipe for a winning record, but also financial disaster, as it was for Real Madrid in the late 1990s. Real Madrid's management believes that the club exists to serve the Real Madrid community.